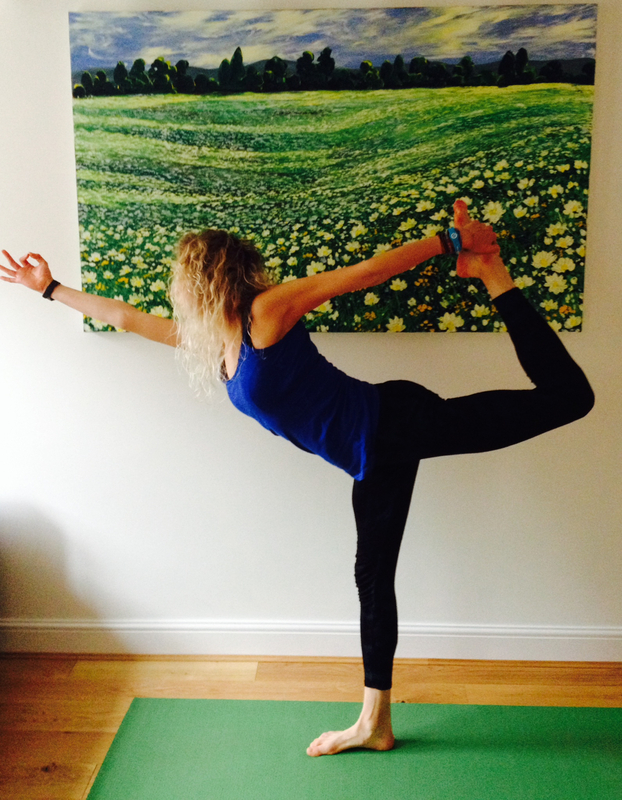 A little more difficult than balancing poses such as vrksasana (tree pose). Natarajasana cultivates (and requires) lots of concentration and balance – as well as a big opening in the hips and quadriceps! In the full expression of the pose, the hips are square and facing forwards, and both hands reach up over head to hold the toes….. yes I’m still working on that too! Standing in Tadasana (mountain pose), raise the [right] leg and hold around the ankle or foot with the [right] hand. 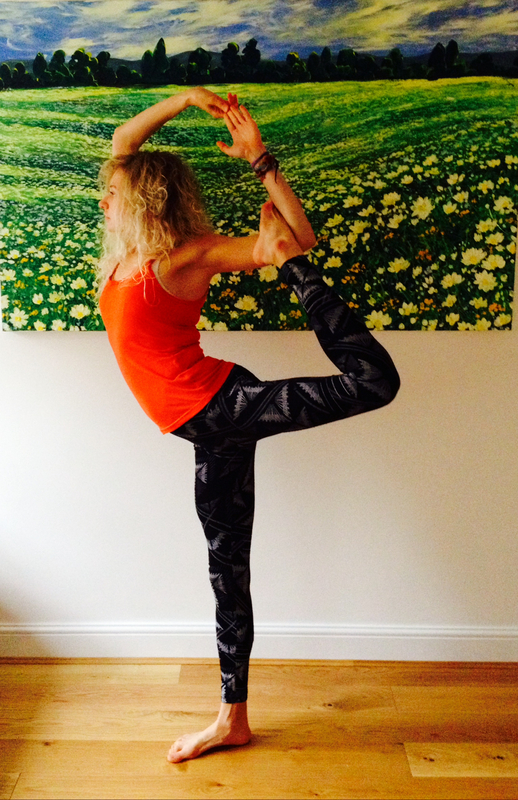 Begin to press the foot in to the hand and raise it up behind you – try to keep the hips both facing forwards here…. Keep the upper body long, and you’ll notice an even curve along the spine as you come in to a small back bend. When you’ve raised the foot as far as you can (without straining! ), you can lean forward a little and extend the front arm. To come out, gently release the leg to the floor, then try the other side – and notice if your body tends to work differently on each side, there is often a difference between the left and right….